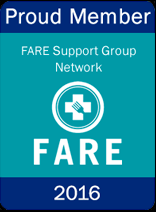 We are a support group for families with food allergies in the New York Metropolitan area and beyond. We are not a professional or medical organization, and do not provide medical advice; please see our disclaimer for more information. Our mission is to provide our community with support and education through meetings, events, advocacy and other resources. Our medical advisor is Dr. Joel Selter, who sees patients for asthma, seasonal allergies and food allergies (including offering OIT or oral immunotherapy desensitization treatments for food allergies) in Suffern, NY in Rockland County and in Monroe, NY in Orange County. No one offering OIT yet in Westchester, but we’ve always got our ear to the ground for you. We also offer a very active online community through Yahoo. To join our Yahoo group, please click here.